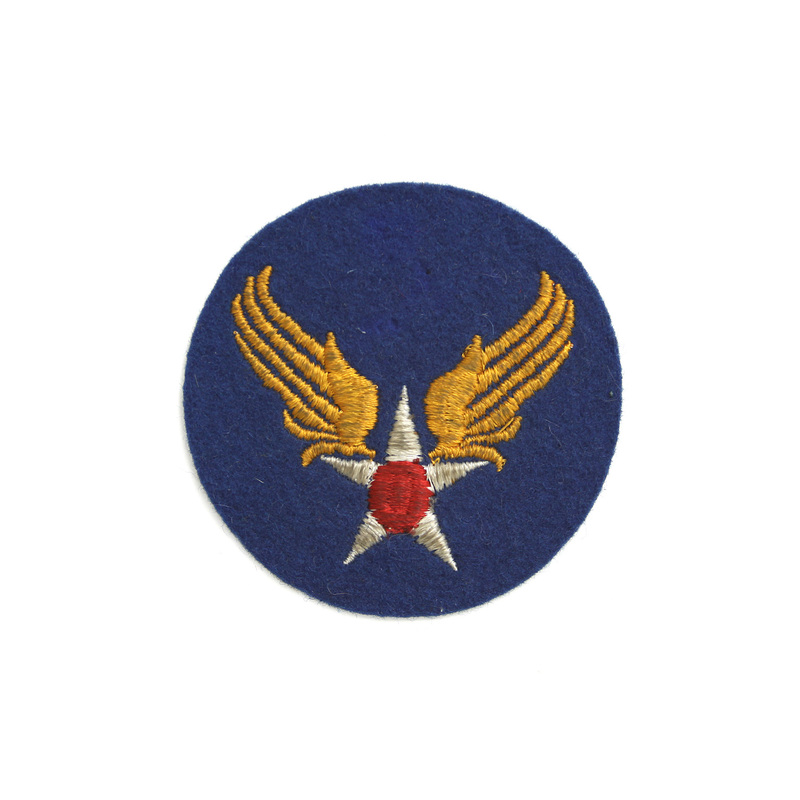 The U. S. Army Air Force patch is a winged star emblem embroidered in yellow, white, and red on a blue felt circle. 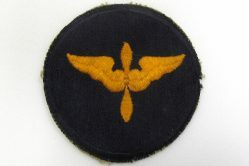 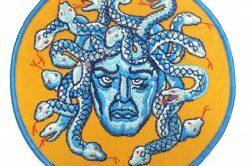 It’s worn on the left shoulder of a uniform coat or shirt. 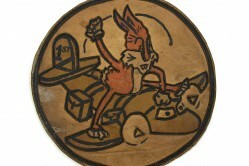 Known as the “Hap Arnold emblem,” it was approved for wear in 1942. 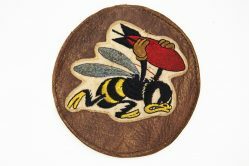 The U.S. Army Air Force (USAAF) was created in June,1941, as successor to the Army Air Corps. A component of the U.S. Army, USAAF provided military aviation and controlled its own installations and support personnel. 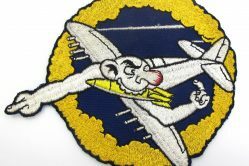 At its peak size, there were 2.4 million men and women assigned with nearly 80,000 aircraft. 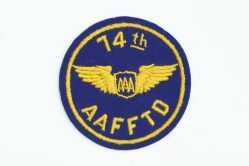 In 1947 the USAAF became an independent service, the U.S. Air Force.